View the trailer for the film "Rethinking Beaver: old nuisance or new partner?" This trailer was created to introduce viewers to the 55-minute, full length film in a short three minutes. We hope it will pique your interest. If you are interested in scheduling a full screening of the film, please contact the Institute to discuss the details. The full length film features unscripted interviews with ranchers and a smattering of others about their experiences using beaver as a tool to restore streams. The film presents a common sense portrait of the management needed and the benefits that may be gained by ranchers. Read or download: Case study in the Beaver Restoration Guidebook. The guidebook, edited by Janine Castro, Michael Pollock, Chris Jordan, Greg Lewallan and Kent Woodruff, includes a case study by Cathryn Wild on a very challenging beaver restoration project in New Mexico. The 2011 estimated beaver population in New Mexico of 8000-10,000 was approximately one sixth the potential population. The majority of potential suitable beaver habitat, 66%, is located on privately-owned land. If properly managed, and in the appropriate places, beaver can be a potent climate change adaptation tool. An increase in the population is a “no-harm” strategy, since beaver are native to New Mexico. Methods for managing beaver are established and can be put into place immediately. Given the great value of riparian corridors in the state, increasing the beaver population in appropriate areas seems prudent. Since New Mexico is expected to suffer significant climate change, and beaver dams and ponds can ameliorate the effects of this change in riparian areas, an increase in the abundance of beaver is both necessary and desirable in order to achieve climate change adaptation goals. View the poster: Rethinking beaver: can an old nuisance be a new tool to adapt Southwestern stream corridors to climate change? This poster was presented at the 2012 North America Congress for Conservation Biology, a regional meeting of the Society for Conservation Biology, where it won the conference prize for best poster. Read or download report: Management Plan for the Central Forest Reserve. 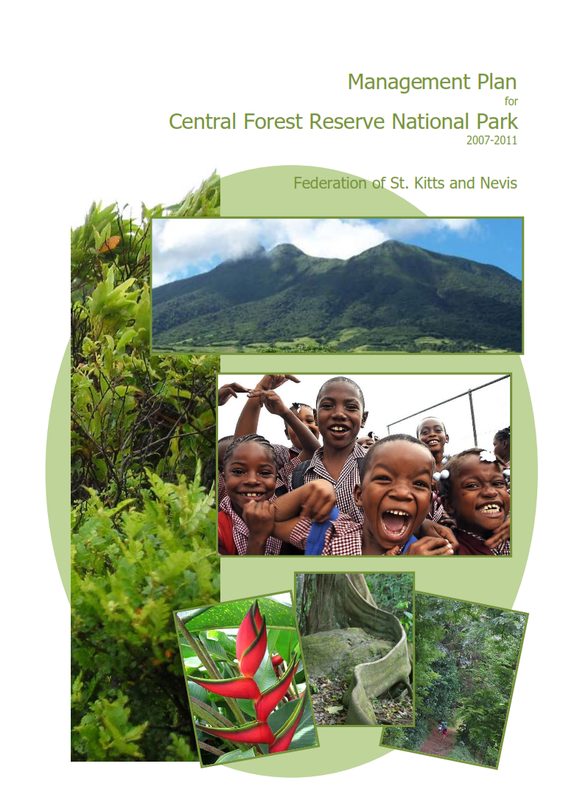 In 2007 and 2008, Seventh Generation Institute staff completed a management plan for a new national park on the island of St. Kitts - the Central Forest Reserve. This park's 12,500 acres of cloud forest provide habitat for a number of threatened resident birds as well as important stopover habitat for migratory birds. Equally important, the newly designated park protects several important cultural sites and the watershed that supplies a clean, stable water supply and flood control for the human population of this rugged volcanic island.